daily yoga In Algarve 's astonishing nature reserve. Full of sunshine and peace. The Ocean. quiet beaches. Open hearts, open minds. And open sunset skies. It is the mind, heart and soul that determine how we experience Life. What we see, what we think, what touches us and most of all: how that makes us feel. During all our yoga retreats we guide you as much as we can to help you strengthen your physical and mental self, teach you learning to change negative patterns of the mind, and make you return home with sufficient tools to continue your own yoga path towards health and happiness. 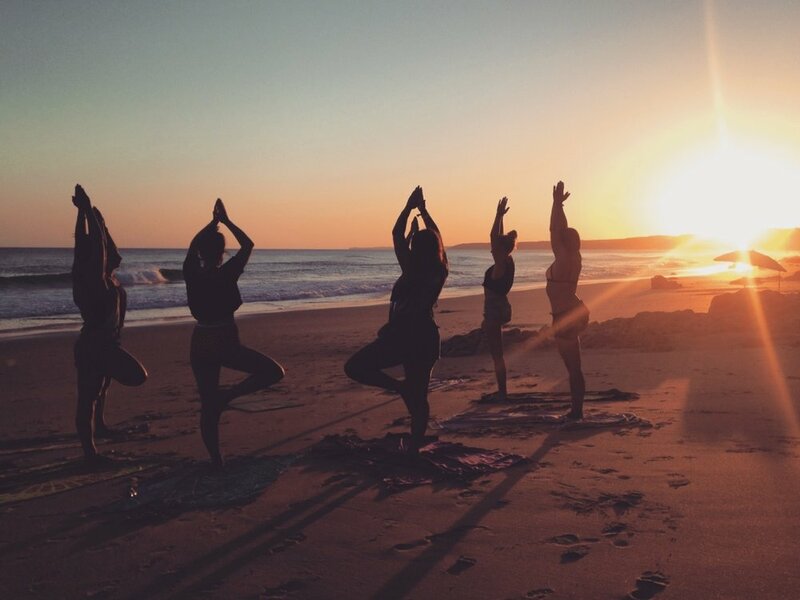 During all yoga retreats we cover the basic techniques of yoga, breathing, body and mind and yogic philosophy and make sure you have sufficient time to enjoy the Algarve's beaches. All our yoga holidays in the Algarve are organised close to the deep blue Atlantic Ocean, in the wild nature reserve Costa Vicentina. A wonderful journey towards joy, peace and happiness, because that is your natural path! 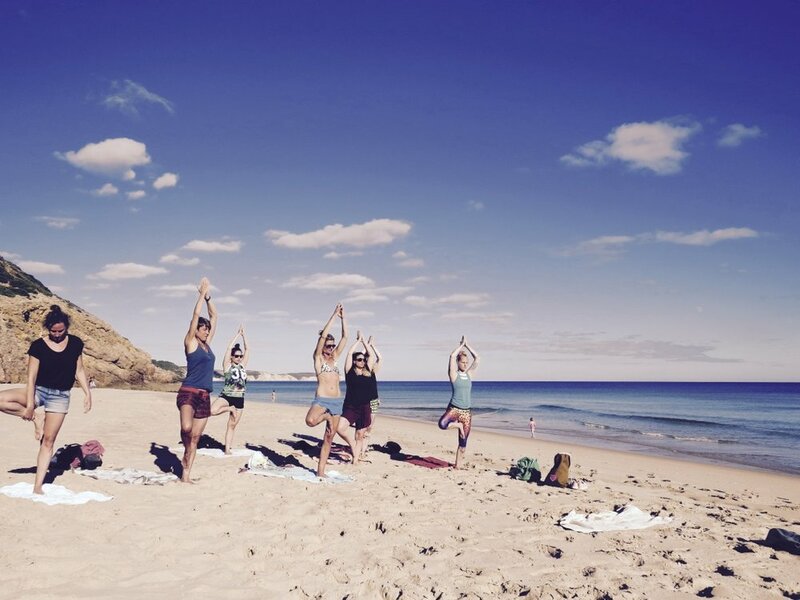 So what yoga retreat program should you choose? That depends on your needs. Our Relax & Discover retreats will give you the most solid foundation to develop or further increase your yoga practice and bring health and happiness into your life. The Relax & Discover retreats are organized in our comfortable Yoga Villa. For those who want to reconnect with their true self, and increase consciousness of mind by deepening yoga and meditation sessions, we organize Life Awareness yoga retreats in our Yoga Villa. Do you need to give your mind a rest, give yourself time to be silent, to reconnect with nature and and regain your focus? Then our Nature & Meditation yoga retreats in the Yoga Villa with many silent hours to quietly relax, read, write, walk or meditate, will help you grow towards peaceful health and happiness .